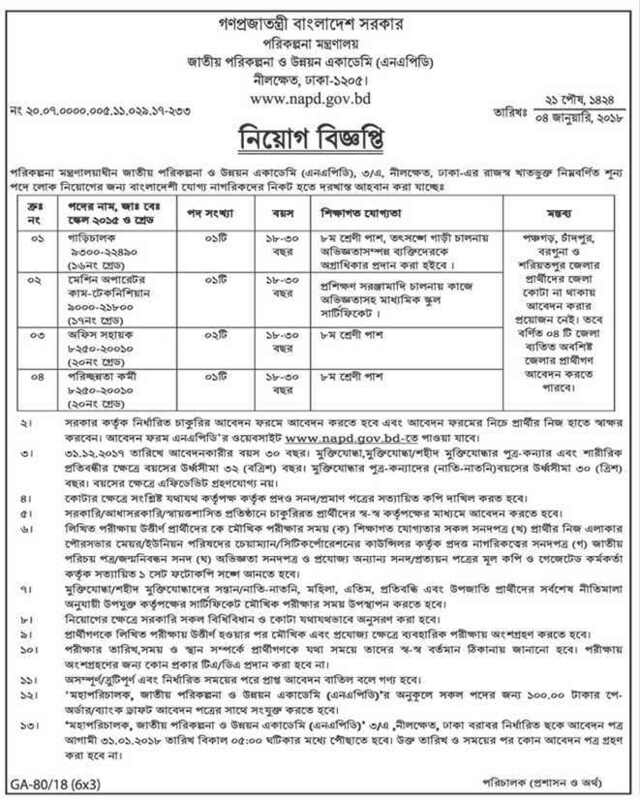 NAPD recently published a new job circular 2018 on official website www.napd.gov.bd . Applications are invited from the citizen of Bangladesh. The name of the posts are 'Driver', 'Machine Operator', 'Office Assistant', 'Cleaner'. Applicants age should be less than 30 years and for freedom fighters students it is 32 years. Last date of application: 31/ 01/ 2018. The circular is in the following.